Virginia@: Election Day is less than 4 weeks away! Election Day is less than four weeks away, and our candidates need you, right now. Ken Cuccinelli is by far the most qualified candidate for Governor. As Attorney General, he led the fight for Virginians’ property rights and against human trafficking. As Governor, Ken will continue his work to strengthen our economy and protect our liberty. To help Ken, click here. E.W. Jackson earned the Republican nomination at the convention, and has been a tireless advocate for conservative, Constitutional principles. The Virginia Senate is split 20-20, with the Lieutenant Governor breaking ties. To enact a Republican agenda, we need E.W. to win. To help him, click here. 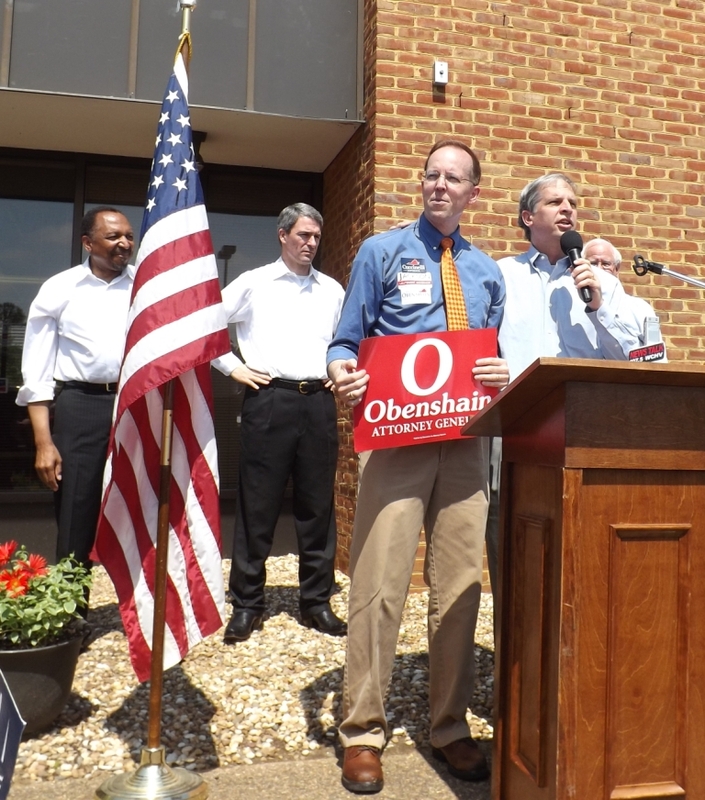 Finally, during our campaign for the nomination, I had the chance to spend many, many nights with Mark Obenshain, and know him to be a smart, principled attorney who will fight to preserve our Constitution. In the General Assembly, I was proud to work with him on the property rights Constitutional Amendment and the new law mandating life sentences for sexual predators. You can help Mark by clicking here. Underneath the deluge of ads, we have three men who have stepped forward to fight for our Republican principles. They are doing all they can, but they need our support and our prayers. Please do all you can to help. PS: If you or anyone you know needs an absentee ballot, you can apply online, here.